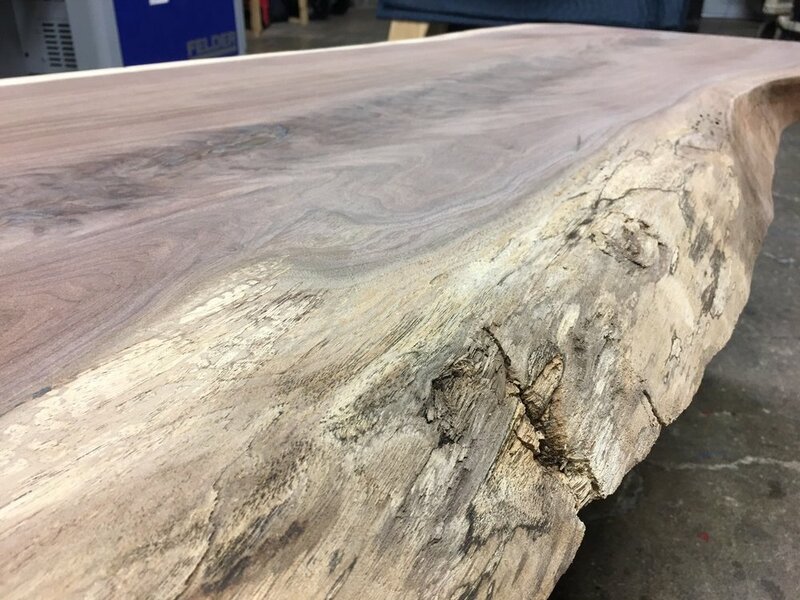 This 9ft long x 3ft wide book matched Black Walnut conference table was just dropped off at Trimble Insurance's new sales office in Westerville, Ohio. The spider base is 2.5" tube steel welded by Josh Willford. Trimble Insurance was founded in 1946 and is a 4th generation independent insurance agency representing the finest companies in the state. They provide auto, home, rental, business and life insurance and currently operate in 18 different states. They pride themselves in their relationships with their clients and match their needs to the companies they represent. The Trimble Insurance Westerville, OH location opened June 1st located at 15 Bishop Drive Westerville, Ohio 43081. 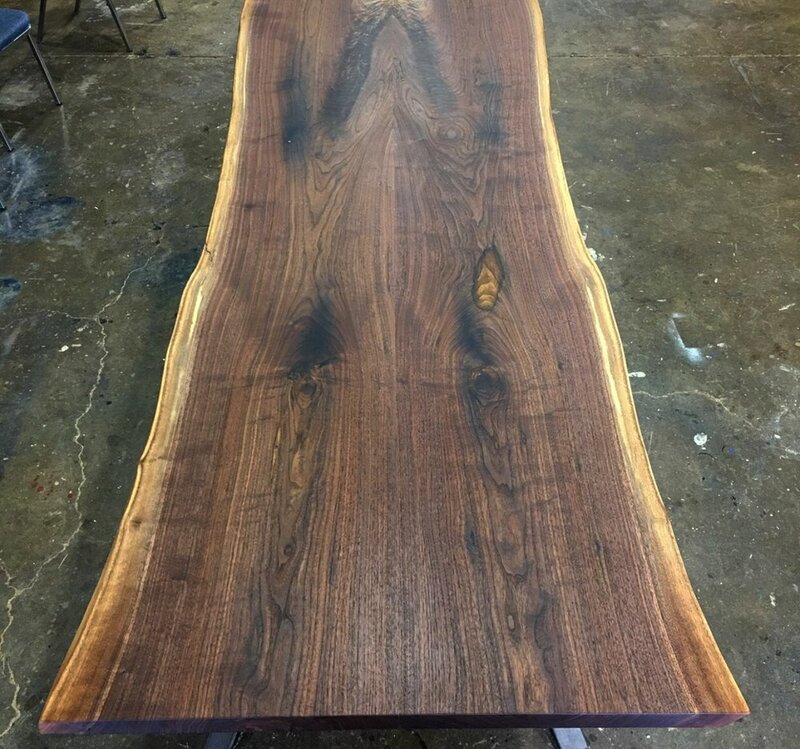 Their new sales office was built around this beautiful Black Walnut conference table. If you are need of a quote for auto, home, rental, business or life insurance, Trimble Insurance will take care of you. For more information, please contact them at the link below. 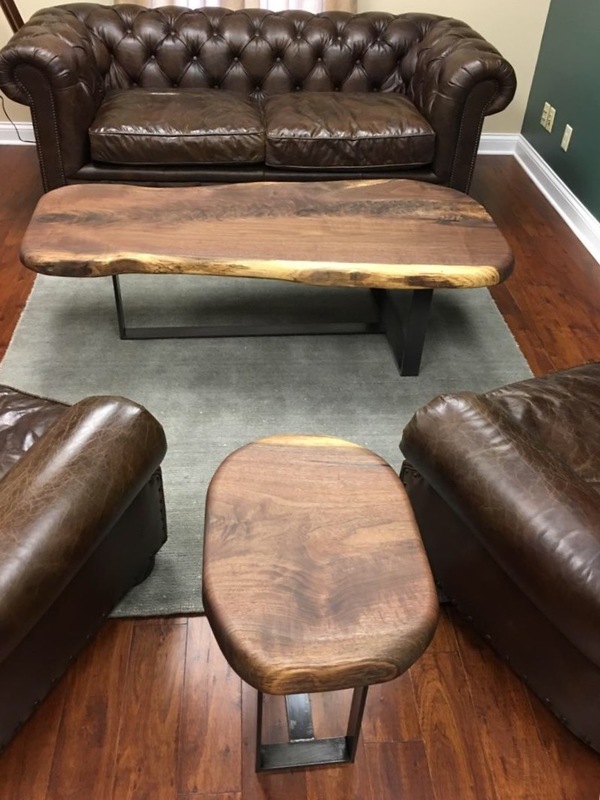 We just wrapped up a custom Black Walnut coffee table and side table for customer Brett Coffing. The coffee table is 4' long x 23-35" wide. 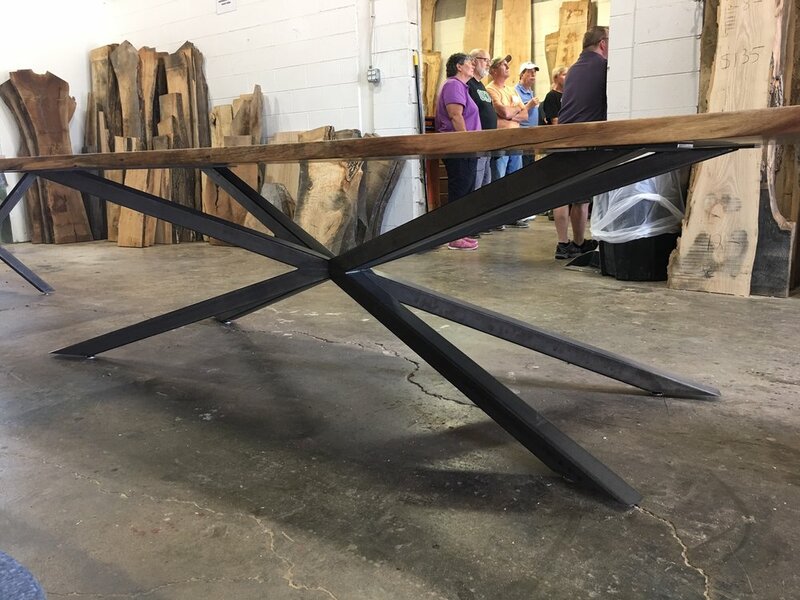 The side table is 18"L x 23"W. Both tables have welded T steel bases created by Josh Willford. Brett is a Financial Advisor for Edward Jones Investments located in Pickerington, Ohio. He focuses on investments for retirement planning and helps people get on track with their investment goals. 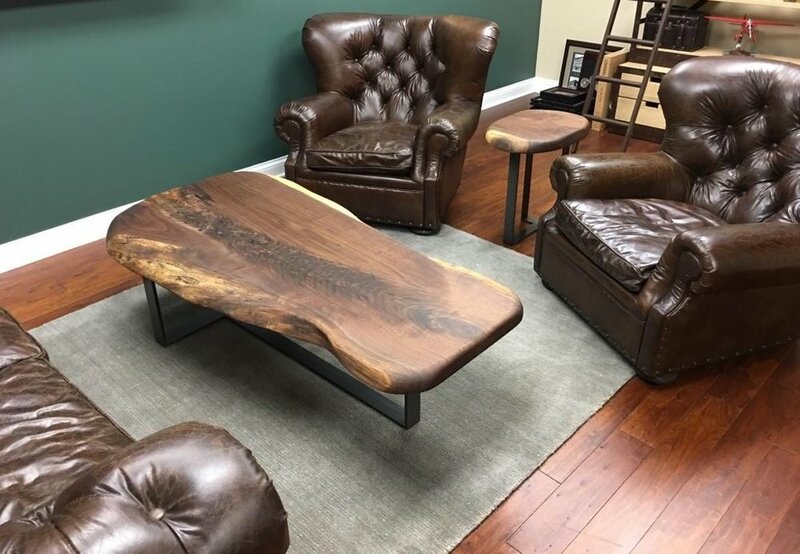 You can find the Black Walnut coffee & side table in Brett's review area of his office. 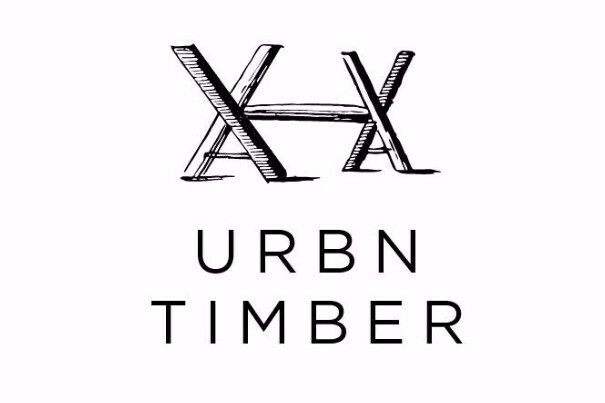 "Tree City USA was created to encourage communities to take better care of the nation's community forests by awarding recognition to communities that meet four basic standards of a good tree care program: a tree board or department, a tree care ordinance, an annual community forestry budget of at least $2 per capita and an Arbor Day observance and proclamation. For the 36th consecutive year, Ohio was recognized as the nation's leader in Tree City USA communities with 243 participating cities, villages and townships. Last year, Ohioans planted more than 27,000 trees, pruned more than 81,000 trees, volunteered more than 50,000 hours in their urban forestry programs and invested a combined total of $40.8 million toward urban forestry efforts." 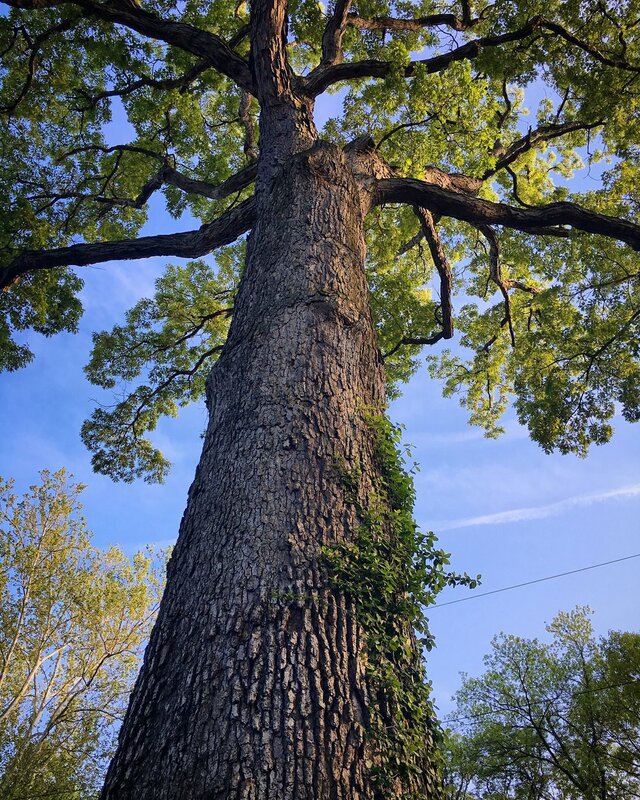 Picture here is a 100' White Oak tree that was taken down this past spring in Clintonville, Ohio. The tree was removed due to a driveway installation. We were able to salvage part of this White Oak tree that was milled and currently air-drying in our log yard. Slabs from this tree will come available next year once kiln dried.